Its been a few days since I last posted. 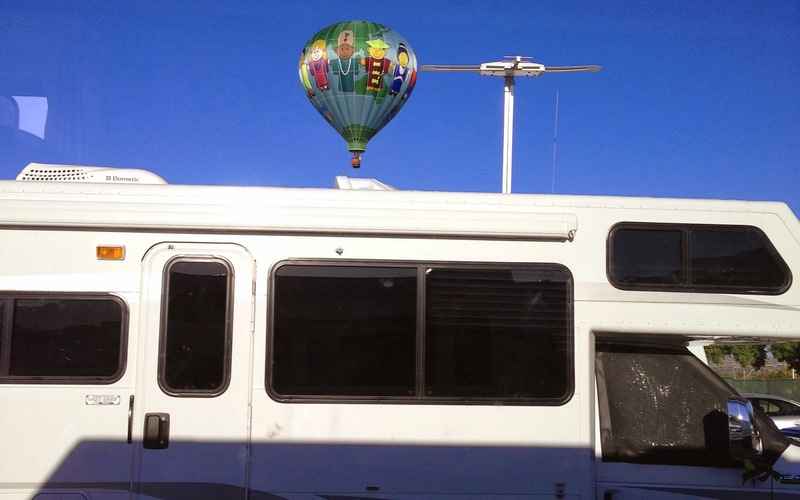 The balloons have been fantastic for at least two days, other days they look like they are speeding toward us, then hit a brick wall, climb and then head away from us. Very interesting to see that happen. Then other days they just flat out head west and don’t even try to come toward us. And today… the balloons did not fly, but the special characters inflated on ground. I’ve taken a ton of pictures, but many were repeats of others I’ve taken and posted on this blog and/or just weren’t that good. I did save one in the batch, the one above is one of the pretty ones and since it was over my neighbors (Steve & Pam) Lazy Daze, I decided to include it. Tires. Michelin would not honor the warranty as their opinion my cracked sidewalls is not bad enough to replace. Excuse me! They told me I still had many more miles I could put on those tires and that a ballpoint pen would have to fit in the cracks before they would swap them out. Egads, I hope no one is driving with that wide of a crack. My crack was at the base of tread all around the tire. Expensive to replace, but since my life depends on my wheels to get me down the road, I bought two new tires. Have eaten some great foods, gotten to see how some folks have their RV’s set up, including one with the fireplace. My cats have met tons of folks as they came into my rig to see the loom. 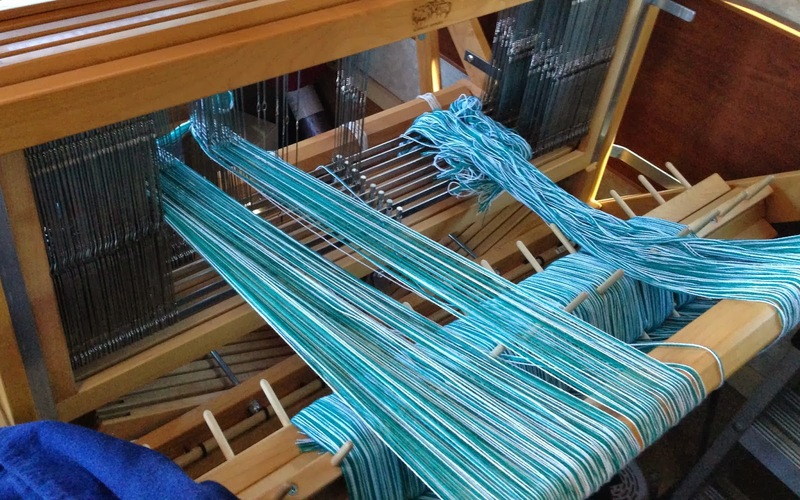 Its been most enjoyable visiting with my Lazy Daze friends, but also working on my loom. I had high hopes to have been weaving by now, but must admit there have just been too many distractions. So decided to post one picture, then another once I start weaving this project. Getting things done… I stocked up at the grocery store yesterday and have been re-packaging and storing away since then. Need to fine tune it, but at least the cold stuff is put away. Due to high winds, I’ve had to bring in my Sun Oven (pictures will come later). That has now found a home in my passenger seat – but all that needed to be rearranged to fit that in and protect the seat as well. Doubt now, that I will take it out again before I leave. The itch to move on is strong.. but can’t quite pull it off yet. I plan to leave here on Sunday, head to Bernalillo for two nights to do laundry, etc. Then and only then am I heading out, so let’s hope the weather behaves itself. I’m taking I-25 north to Springer, then will head east on the back roads of good ole U.S.A.. I originally had plans to head to Denver, but I haven’t heard from anyone, so am heading east before Colorado.